It’s finally happened. After years of complaints from customers, myself included, Amazon has finally added a bold font to Kindle ereaders. 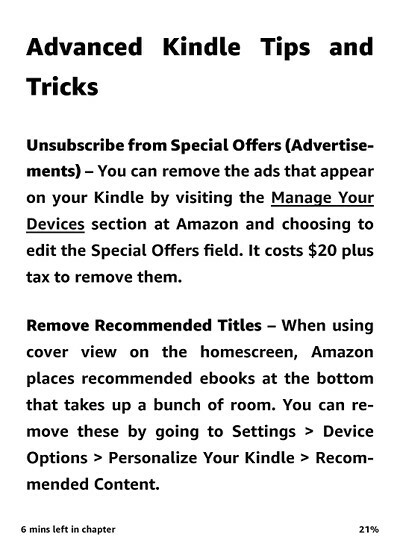 Amazon has started rolling out a new software update for Kindles to add the new Amazon Ember Bold font choice. The new software version is 5.8.7, and the new font is the only change mentioned in the release notes. The screenshot above shows an example of the new font. It does indeed look really nice and bold in person. The only downside is that it’s a sans-serif font so people who prefer serif fonts are left without an option (a bold version of Bookerly would be nice too). The new software is available for the Kindle Paperwhite 2 and 3, the Kindle Voyage, Oasis, and the entry-level Kindle Touch (7th and 8th gen). Like usual you can wait for the update to automatically download and apply over wireless with no intervention on your part, but that can take a few weeks (I just recently got the last update on my Paperwhite at was issued a couple of months ago). If you want to try out the new font now you can download the update and install it manually, which just requires dragging the file onto your Kindle’s drive and then hitting the update option from the settings menu. Here’s the page at Amazon with Kindle Software Updates for each model. Nice first step. I personally don’t use the Ember font but hopefully they update the Bookerly font. At first I thought they had added a font weight adjustment which would have been a miracle. Hopefully they eventually go that route and maybe I can one day go back to Kindle. Now if they can only get the lighting on the screens figured out.. I notice that after this update the Caecilia Condensed font is no longer condensed and the Caecilia font is slightly condensed. So they have made changes to these fonts. Has anyone else noticed this? I like the Caecilia Condensed and used it almost always to fit the words tightly on the screen, but now that just doesn’t work.